While feather lashes were this year's hottest selling item, paper lashes might just take their place. 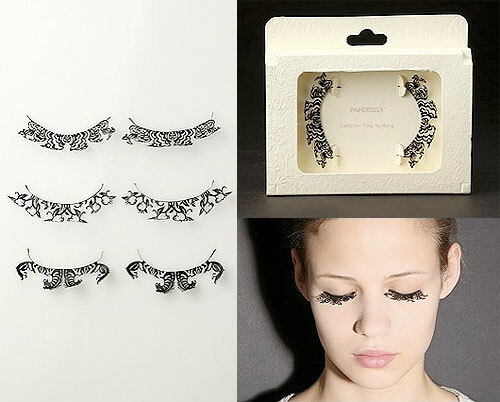 Paper lashes are just hitting the market and boy are they making a statement! What makes paper lashes so different and unique is that they can be shaped into any design that you can imagine. Not only does this allow for makeup artists to create a different and creative look, but it also makes every makeup creation original and unique. This can also inspire anyone to make their own at home paper lashes, since all you need is paper! This trend is an absolute hit and I can't wait to get my hands on some paper lashes! Would you give this a go? Let me know! P.S. Stay tuned to learn how to make your own paper lashes!